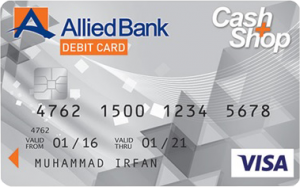 Over 1,200,000 customers are now using Allied Bank’s Cash+Shop Visa Debit Card! Allied Bank welcomes you to a world of convenience and security, with Allied Cash+Shop Visa Debit Card. This Debit card is offered specifically to Allied Bank account-holders. If you don’t have an account, please open it by visiting any nearest ABL branch to procure a Allied Cash+Shop Visa Debit Card and start enjoying countless benefits and services that come with it. With Allied Cash+Shop Visa Debit Card Variants, you can choose from a variety of transactional limits on your card to get 24-hour access to your cash anytime and anywhere around the world. 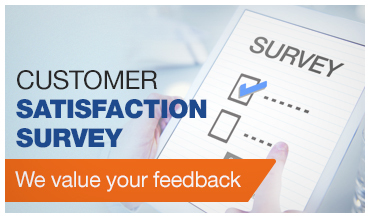 We are always striving hard to provide state-of-the-art services to its customers. In line with this vision, we have introduced a globally acceptable “Chip-enabled Allied Cash+Shop Visa Debit Card” to further mitigate the risk of card usage (card skimming etc) on chip enabled ATMs and Retail Merchants. Find the List of Chip-enabled ATMs (as on October 8, 2018). Have a question to ask? Read FAQs on Chip-enabled Allied Cash+Shop Visa Debit Card. Get Cash: You are always on the move, now your bank account is too. You can use your Allied Cash+Shop Visa Debit Card to withdraw cash directly from your bank account from over 13,000 ATMs in Pakistan – including Allied Bank’s 1,200+ ATMs. Shop Anywhere: Use the Visa power of your Allied Cash+Shop Visa Debit Card to shop at over 50,000 retailers in Pakistan and over millions retailers internationally. Shop Online: You can use your ABL Visa Debit Card to shop your favourite stuff online. Dial 111-225-225 through your registered number to activate online shopping session. If you have a question, read FAQs on Online Shopping to know more. Dine Out: Go to all your favorite restaurants and place your order without having to worry about how much cash you have in your pocket – you can foot the bill with your Allied Cash+Shop Visa Debit Card. Thanks to your Allied Cash+Shop Visa Debit Card, you can pay directly from your account. Enjoy Traveling: Imagine traveling without carrying cash. With your Allied Cash+Shop Visa Debit Card, you can buy your plane tickets and do all your shopping and when you need cash, use your Debit Card at any nearby ATM display VISA/PLUS sign to withdraw cash. Get Groceries: Go grocery shopping with your Allied Cash+Shop Visa Debit Card and you will never have to worry about having enough cash in your pocket when you’re standing in line at the cash counter. Have Fun: Whether you feel like taking the family to see a movie at the cinema or treating some friends to a night of bowling, you can do it all and more with your Allied Cash+Shop Visa Debit Card. Fuel Up: Now you can fuel up your car without emptying your wallet. Pay for all your fuel purchases with your Allied Cash+Shop Visa Debit Card. Stay Alert: Feel secure and keep better track of your spending. Subscribe for SMS Alerts facility, which will tip you off via SMS when transactions occur on your account. 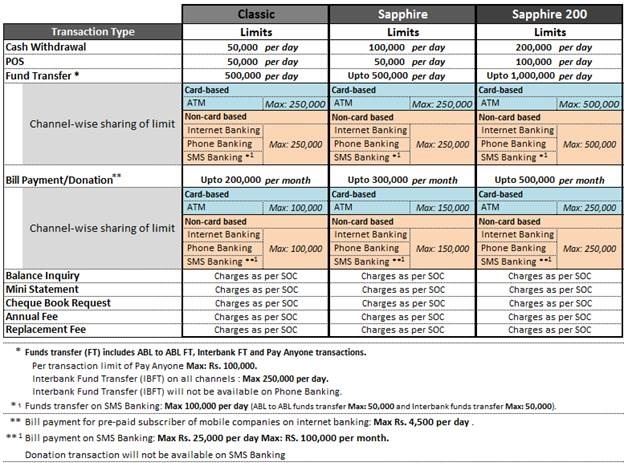 Bank on SMS: Allied SMS Banking puts your finances as close as your mobile phone. Now all your financial transactions can be executed through SMS messages over your mobile phone, without requiring internet or GPRS. Visit any ABL branch and register for Allied SMS Banking.